The gals are back in town! Slacks returns November, 2018 with 3 New Episodes! 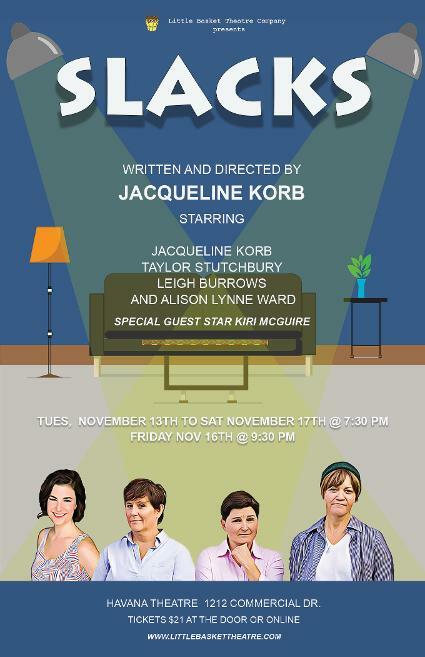 Coming to the Havana Theatre Nov 13th to 17th, 2018, Vancouver's favourite live sitcom is back. Don't miss Jackie, Taylor, Kelly and Amanda as they navigate life, love and other stupidities from their East Van apartment building.